angus.org To view complete pedigree page and EPDs, click on the provided link and enter Reg. # in Animal Search Box at the top right-hand corner of the page. We're real excited about these Rampage sons. They add a bit more frame to his offspring for feeders that tip the scales. Add to that the carcass quality and you have the making of some real fine herd bulls for other seed stock producers or the guy selling feeder calves. This guy weaned off 770 lbs. @ 197 days. 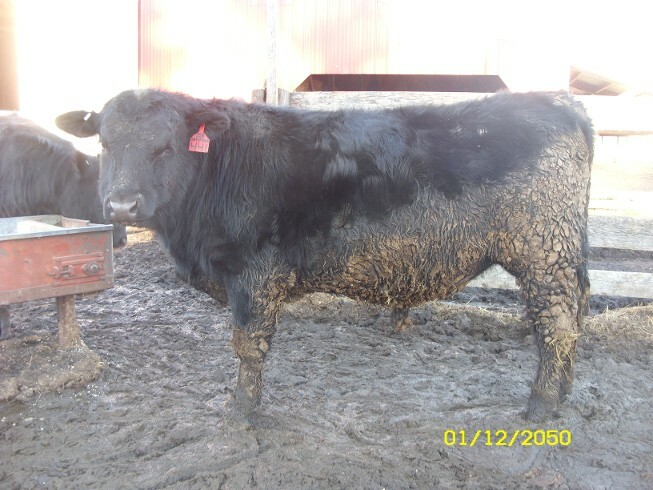 Sire is still here on the ranch, ranks in the top 5% for carcass weight.